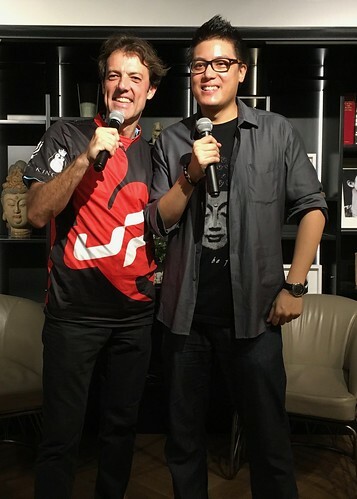 A niche but very inquisitive gang of gaming experts and senior executives from InvestHK, PR companies, investors and curious entrepreneurs attended Grow uP eSports at Web Wednesday HK (V109). A big "obrigado" to Fernando Pereira for an enjoyable and truly educational conversation and to his partners, Dik Inho Yashmash Jr. and Jens Janssen, and the original Portuguese founder, Telmo Emanuel Ferreira Silva, for being there to support the event. Our new venue, Eaton House, received an all-round vote of confidence. So "多谢" to you too! If you're curious as to how we got so many great photos, drop a line my long-term supporter and talented photographer Bronney Hui.